Here you can find our HVAC coupons. 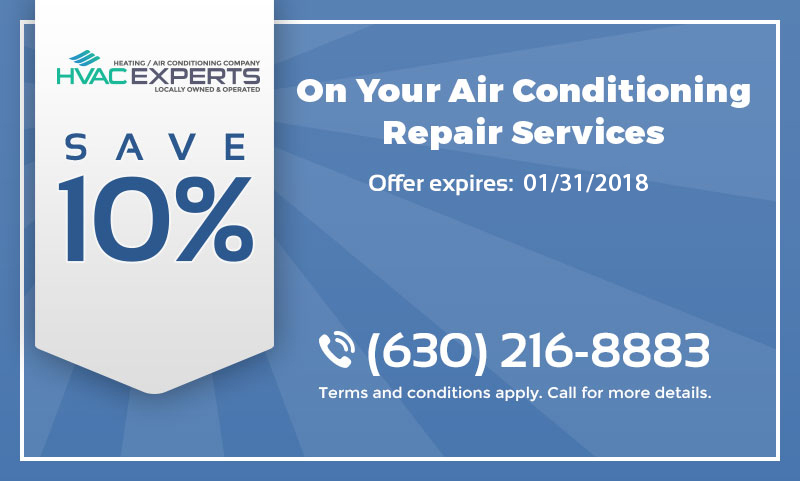 We update this page in order to offer you even better deals on our services, so please come back to find new ways to save on your heating and cooling services. Please inform us about the coupons that you have prior to scheduling your services and provide a copy of the coupon to our technicians in order to receive the discount. Get ready for the cold season and have your heating system fixed before winter comes. 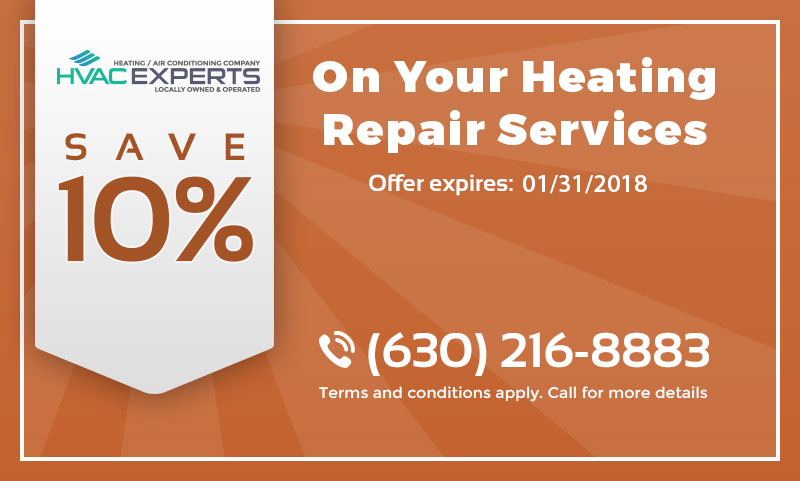 Schedule your appointment now and save on your heating repair services! 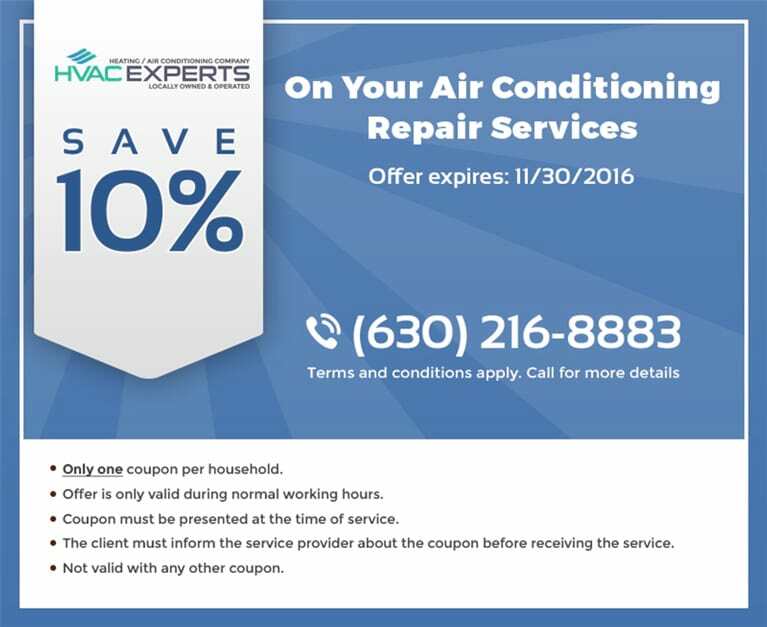 For a limited time we are offering a discount on our AC repair services! To receive the discount, simply print out the coupon and present it to our technicians before they begin the work. Schedule your appointment! Present the coupon before our technicians give you the estimate for your boiler repair services and enjoy your savings! Schedule your appointment with us and receive professional help. 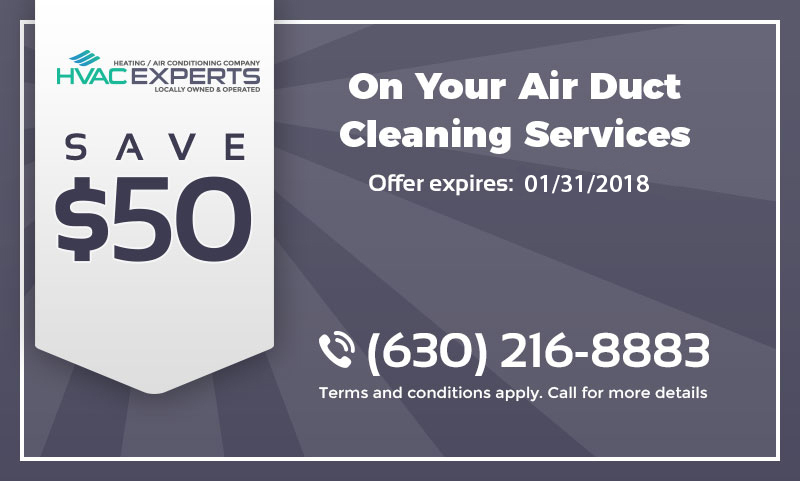 Hire our technicians to clean the ducts in your home before 05/31/2017 and have proper ventilation restored in your home at a very special price. Call us at (630) 216-8883 to schedule your appointment today! Make sure your dryer vent isn’t clogged with lint. 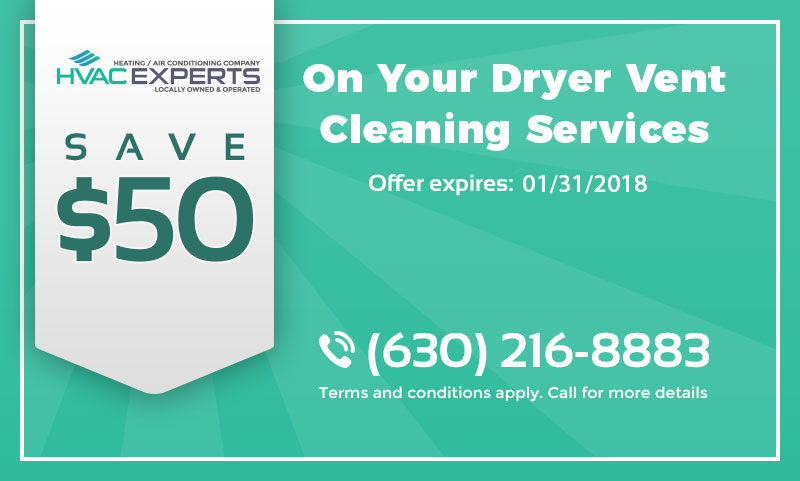 Schedule an appointment with us and we’ll make sure your dryer gets the proper airflow it needs to work efficiently and safely. Need advice on solving your problem? Financing options that make your HVAC system upgrade more affordable!